The dreaded ‘pupil reflections’ bandwagon has reached KL, and my school has leapt enthusiastically on board. 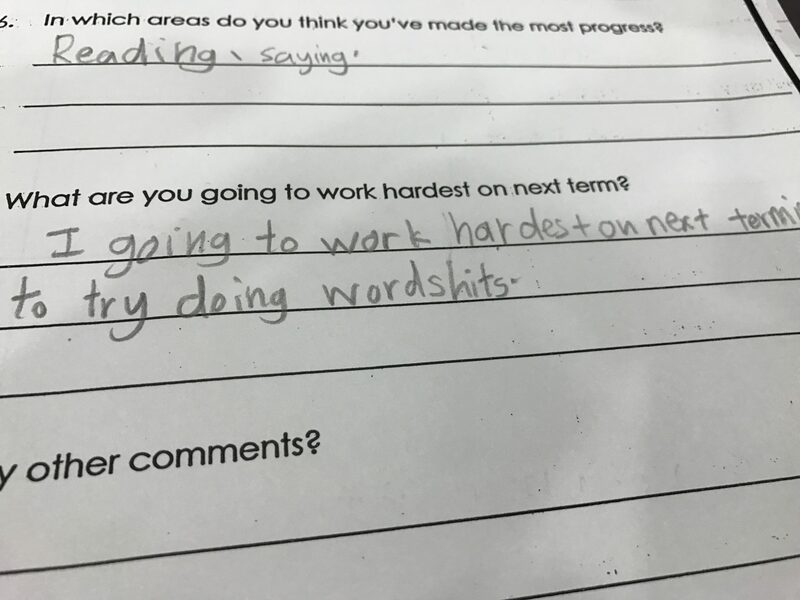 Just like in the UK, the children have no idea what to write apart from stating-the-bleedin’-obvious comments about working harder, trying harder etc. And as for imporved spelling … how could I possibly imporve on that comment? 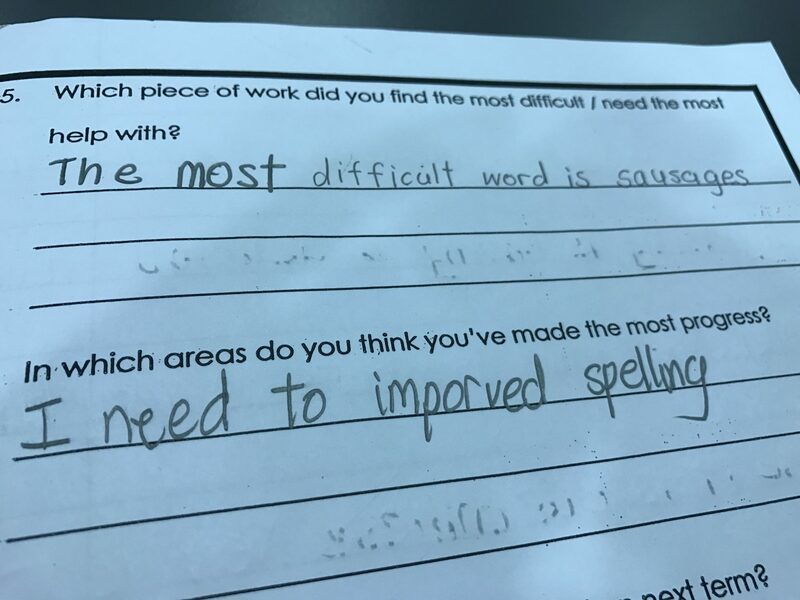 – to make progress in wrong spelling. 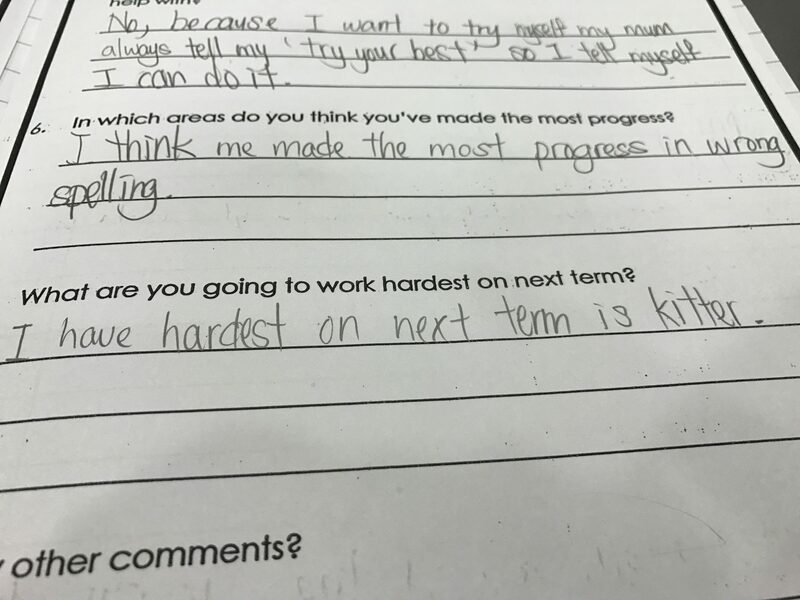 He’s doing very well at it, because next term he’s going to work hardest on ‘kitter’, which is spelt so wrongly that I have no idea what he means. Oh well – another day, another dollar … while we wait for the next bandwagon to roll into town.